Creamy and cheesy baked macaroni baked with more cheese on top. Made from scratch just like grandma used to make it, this Baked Macaroni and Cheese is a winning recipe. One of the BEST ways to make Mac and cheese hands down. My oldest son is the Mac and cheese king and I am sure he is 90%noodles at this point. 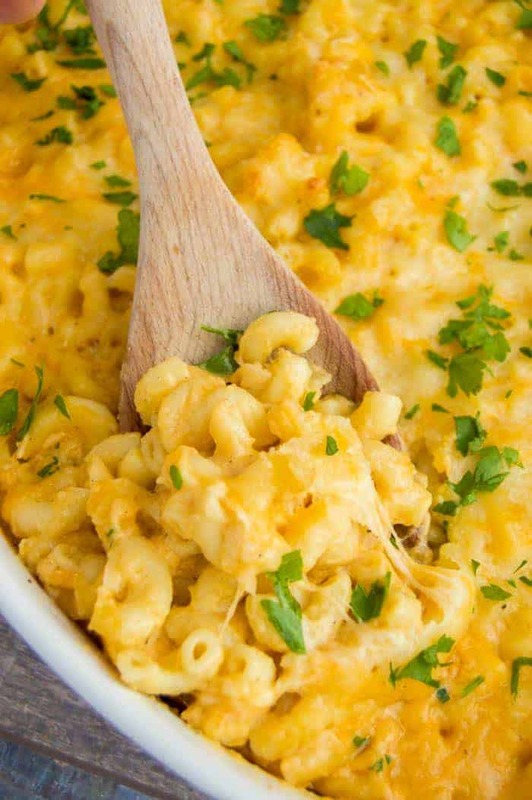 This recipe is so simple to make and you will not be able to stop eating it, which is why we call it “crack” Mac and cheese! For this dish, I used a 9×13 casserole dish. 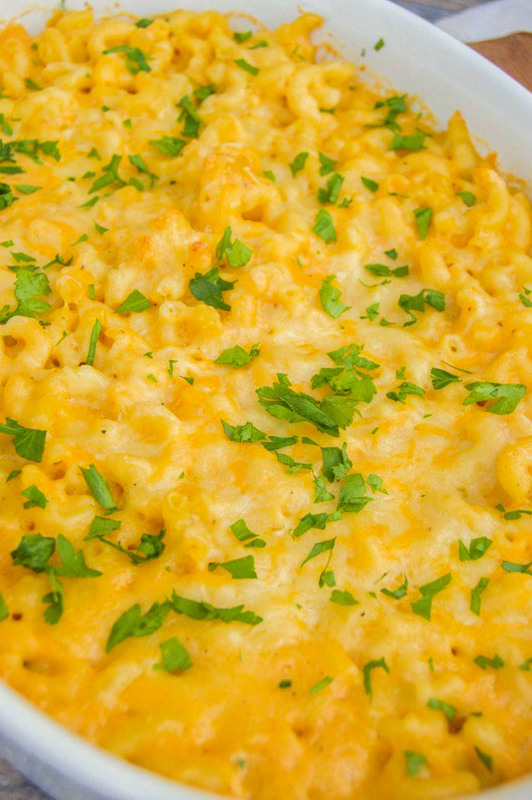 Pizza Mac and Cheese: The perfect combination of two classic comfort foods. 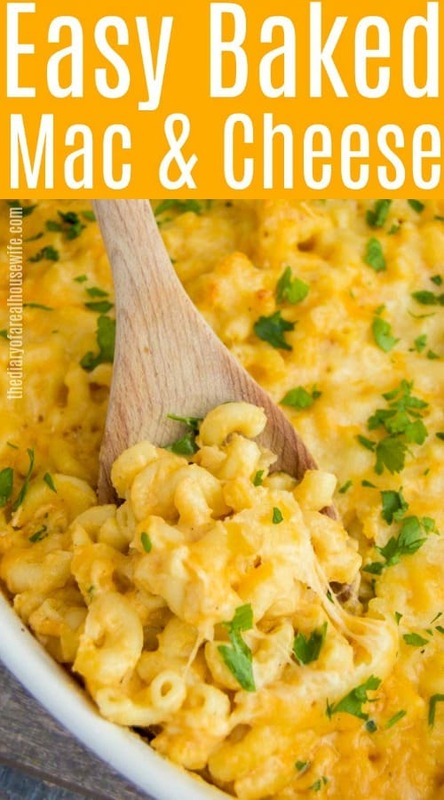 This Pizza Mac and Cheese is simple to make and going to wow! Cheeseburger Mac and Cheese: Everything is better with bacon! This Cheeseburger Mac and Cheese is a favorite in our house. It’s loaded and seasoned ground beef, cheese, and of course the bacon. Whisk together flour with garlic powder, onion powder, salt, and pepper. Then set aside. Melt butter in a large pot. 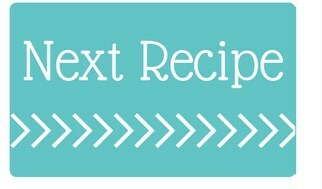 Whisk in flour then milk, whisking until well combined. Slowly mix in 3 cups of shredded cheese until smooth and melted. Add macaroni to the pot and mix well until noodles are evenly coated. Add 3 more cups shredded and mix until melted. Add cheesy noodles to a casserole dish. Sprinkle with 1/2 cup shredded cheese and bake for 20 minutes. Until cheese is melted. This looks to die for!! Love mac and cheese!